Mideast: should the EU step in? As Gaza buries its dead, and amid the continuing turmoil over America's embassy in Jerusalem, what - if anything - should the EU be doing to help ease tensions? That tension has spread to Belgium, where Israel's Ambassador was summoned by the Foreign Ministry after saying 55 Palestinians killed on Monday were terrorists. The EU's foreign policy chief Federica Mogherini has re-stated their position. "We believe the realistic outcome of that would be and should be that Jerusalem being the capital both of the state Israel and the State of Palestine," she said. One Middle East official told us that the US is not an objective broker of peace - and called on Europe to step up to the mark. "The EU could play the role of the honest mediator between Palestinians and Israelis to find peace. The real role of Europe is to begin by recognising the state of Palestine," said Abdalrahim Alfarra, Ambassador of Palestine to the EU. Belgian MEP Maria Arena says it's not the right time to call for that recognition. She says that Europe needs to concentrate on finding allies, expanding its strategy, to find a solution. 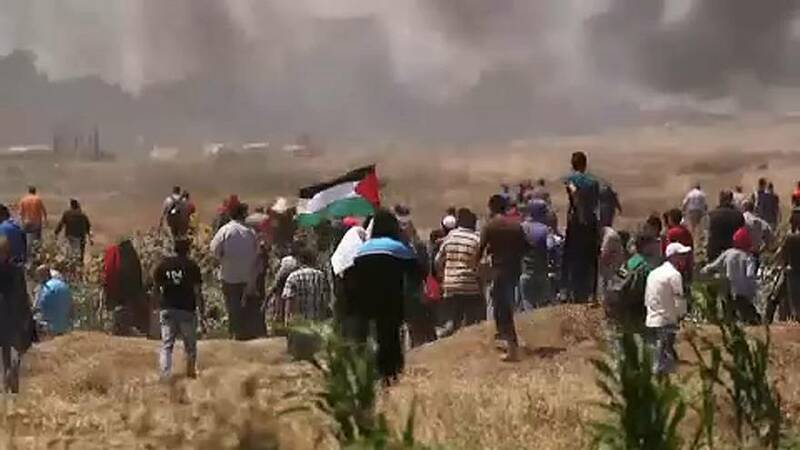 "The EU is finding it difficult to speak with one voice on the question of the Israeli-Palestinian conflict and in particular the attitude of Israel vis-a-vis the Palestinians, especially in Gaza. Europe alone can't replace America on this. We need new geopolitical strategies," she told Euronews. The EU says that only a two state solution will put an end to the conflict, achieving - it says - the just and lasting peace that Israelis and Palestinians long for and deserve.